Timothy Iver Murphy, 67, of Fargo, ND passed away in his home on Saturday, June 30, 2018. 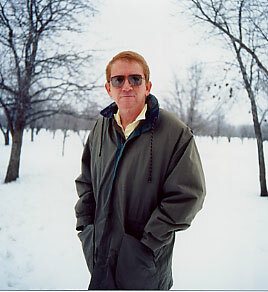 Timothy was born in Hibbing, MN on January 10, 1951. He was raised in Moorhead, MN and attended the Campus School at MSUM. In high school, Tim was active in speech and debate and graduated from Moorhead High School in 1968 as president of his senior class. Tim was an Eagle Scout and member of The Order of the Arrow and worked summers at Camp Wilderness near Park Rapids, MN as a scout craft aide and a commissioner. He attended Yale University and pursued his interest in poetry, undertaking a tutorial with Robert Penn Warren. He was the first undergraduate to be published in The Yale Review in many years. He was named Scholar of the House in Poetry and graduated from Yale with a B.A. in 1972. Tim then joined his father Vince in the life insurance, pension, and estate planning business, V R Murphy and Sons Inc. He won numerous national sales awards serving as an agent for Connecticut General Life Insurance Co. Tim’s entrepreneurial interests led to his raising equity capital for partnerships in a number of local companies; Timco Farms, Bell Farms, Orchard Glen Development, DakTech, and Bytespeed LLC. Tim loved hiking, sailing, farming, and hunting with his black labs. All were inspiration for his poetry, which was his great passion in life. His work was recognized with publication in prominent journals, too numerous to name, including Poetry, Quadrant, Hudson Review, New Criterion and Gray’s Sporting Journal. His published books include: The Deed of Gift (1998), Set the Ploughshare Deep (1998), Very Far North (2002), Mortal Stakes; Faint Thunder (2011), Hunter’s Log (2011) and Devotions (2017). He collaborated on a translation of Beowulf (2004) with his long-time partner Alan Sullivan. His final book Last Poems is forthcoming from Dakota Institute Press. Tim was predeceased by his father, Vincent R. Murphy and by his partner of more than thirty years, Alan Sullivan. He is survived by his mother, Katherine Bye Murphy of Fargo, ND; siblings, Claudia Murphy (John Rowell) Moorhead, MN, Ann Murphy (Mark Rosenzweig) Easton, PA, James Murphy (Meg Nei) Fargo, ND, Mary Murphy (Skip Jones) Minnetonka, MN, Molly Murphy (Greg Rigdon) Philadelphia, PA; nephews, Jesse Jones, Matthew Jones, Sean Gunner, Hugh Rigdon; and niece, Claire Rigdon.